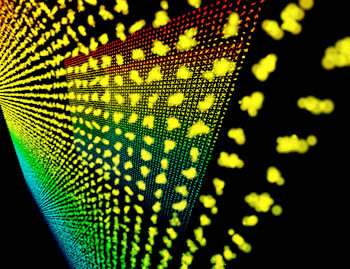 The Particle Type is the building block of Trapcode Form. There are 12 different Particle Types. By default, the plug-in uses a spherical particle called Sphere. Let's take a look at the other Particle Types. 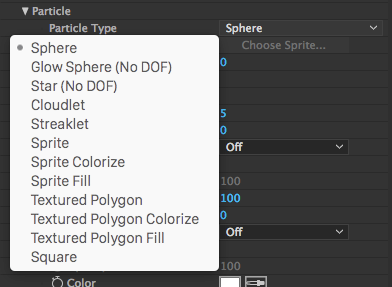 Sphere is the default option in Particle Type. It is a simple round dot that lends itself well to particle systems, which are often spherical shaped units. Dust, snow and rain are all common examples of rounded particle systems. 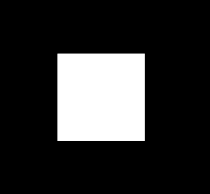 Basic round particle, chosen by default. Control its softness with Particle> Sphere Feather. Glow Sphere is a glowy version of the sphere shape. 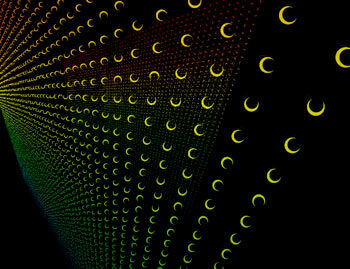 Star is a simple four-pointed shape that has a glow applied. 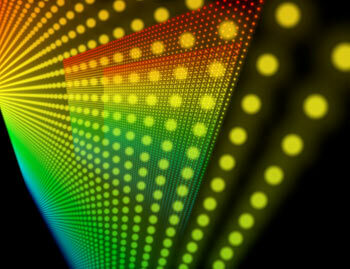 Both particle types are marked as 'No DOF', which means that Depth of Field is not available. DOF render modes are not disabled, but any Depth of Field control will not affect these particles. Glowing round particle. Control center sphere softness with Particle> Feather. Control with the Glow group. Star-shaped particle with glow. Control with the Rotation group and the Glow group. A Cloudlet is a randomized shape that looks like a small cloud. It looks like smoke when the color is dark gray and like clouds when the color is white. Cloudlet is useful for creating smoke trails, puffy clouds and other organic looking shadowed effects. Choosing Cloudlet enables the Shadowlet Settings, a new parameter group that gives soft self-shadowing to particles. Shadowlet settings are great for making Cloudlet modifications. To make modifications to the Shadowlet in Form 1.0, you had to go into the Options Panel and set numeric RGB values for the Shadow. Now in the Shadowlet Settings, you can just dial in the Color, Color Strength and Opacity of the shadow. A randomized shape that looks like a small cloud. Control with Particle> Sphere Feather and the Particle> Rotation group. A Streaklet is a long exposure, light painting effect made of a main large dot surrounded by smaller dots. You can create some really interesting animations with Streaklet, as shown below right. New Particle Type. A long exposure, light painting effect. Control with the Streaklet group. 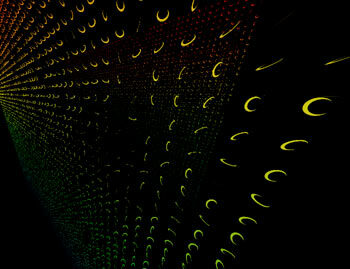 The Sprite particle is a custom layer loaded into Form. You need to select a custom layer (or texture) for the Sprite. The layer can be a still image or an animated movie. When you first apply Sprite, you won't see anything appear; this is because Sprite needs a layer loaded in Particle group> Texture group> Layer pop-up. 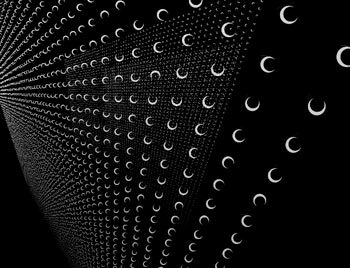 Our example below uses a grayscale crescent-shaped image. Sprites are always facing towards the camera, which is very useful in some cases, but in other cases you'd prefer it to behave like a regular 3D layer, which is why the Textured Polygon type was developed. 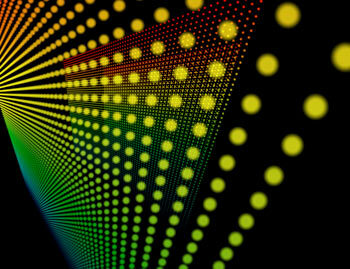 Colorize is a colorizing mode that uses lightness values to color the particles. 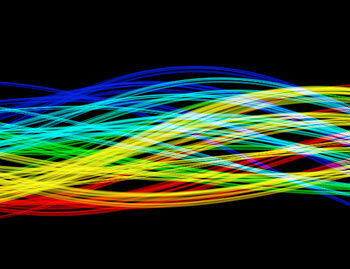 Fill is a colorizing mode that only fills the alpha of the particles with color. 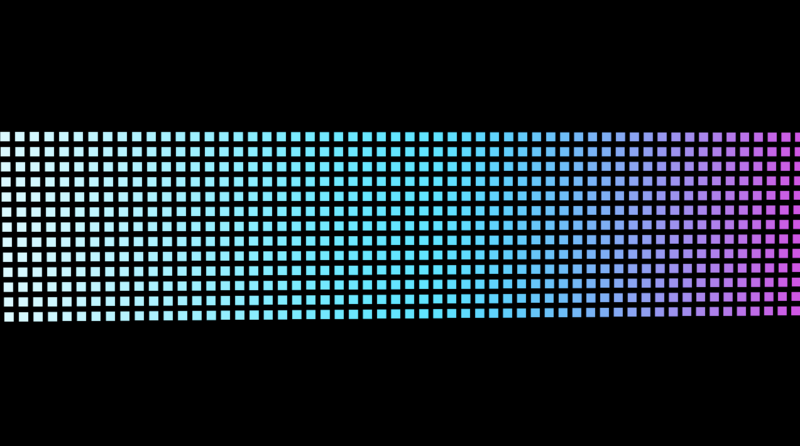 These modes appear as Texture Polygon Colorize and Texture Polygon Fill. Use any layer as particle, and always face the layer to the camera. Control with the Texture group. Same as Sprite but adds the ability to colorize the particles using lightness or by filling the alpha. Textured Polygon is also a custom layer loaded into Form, which can be a still image or an animated movie. While Sprites types face the 3D camera and don't move independently, the Textured Polygons are objects with their own independent 3D rotation and space. When you first apply Textured Polygon, you won't see anything appear. This is because Textured Polygon needs a layer loaded in Particle group> Texture group> Layer pop-up. Our example below uses a grayscale crescent-shaped image. 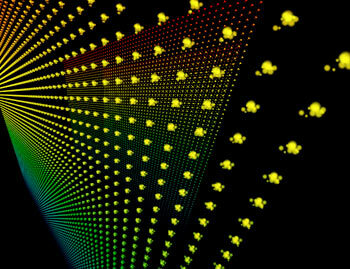 The Textured Polygon particles don't orient to the After Effects 3D camera. 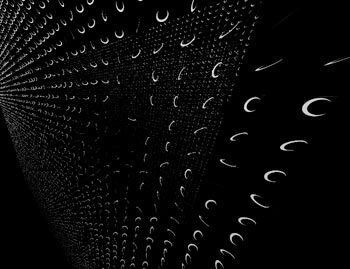 Instead you can see the particles from different directions, from all sides and you can see their thickness change in rotation. Textured Polygon has controls for rotation and rotation speed on all three spatial axes. It will stay in place when you orbit the camera around it. This Particle Type acts more like a regular 3D layer. New Particle Type. Use any layer as particle, and give that layer any 3D orientation. Control with the Texture group. Same as Texture Polygon but adds the ability to colorize the particles using lightness or by filling the alpha. Uses a square as the particle. 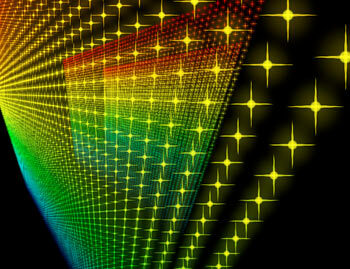 This particle type can really come in handy when using Form to create FUI (fantasy user interface) elements. New Square Type. Use any layer as particle, and give that layer any 3D orientation.